148 Colonnade Road, Ottawa ON. 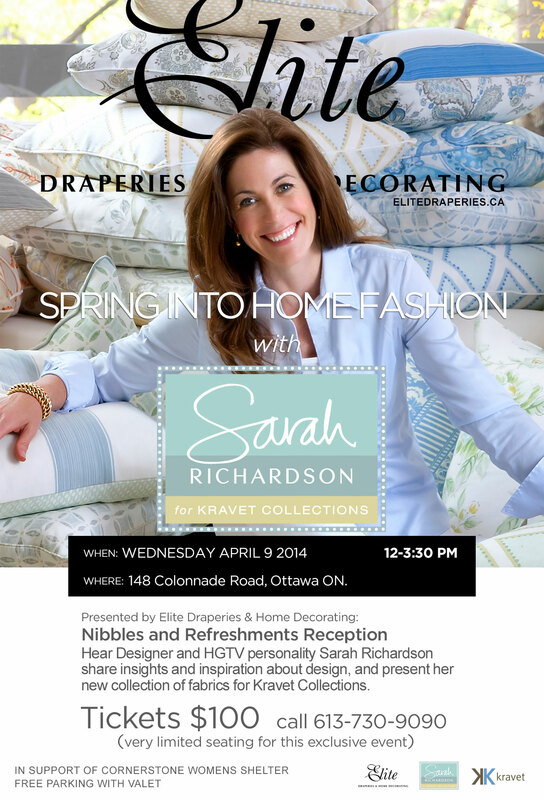 Hear Designer and HGTV personality Sarah Richardson share insights and inspiration about design, and present her new collection of fabrics for Kravet Collections. Elite Draperies & Home Decorating is a home decorating company located in Ottawa, ON. Servicing customers for over 50 years, we are a leader in the Ottawa market through design innovation and service excellence to bring satisfaction to every project. Contact us and book an in home consultation today.